As all the comic book fans know, New York Comic-Con is just about a month away, and DC decided to release a new poster for the forthcoming DC Universe series – Titans. The poster features the characters Robin, Starfire, Beast Boy and Raven. This comes after the latest image releases and recent casting news of Jovian Wade as Cyborg and Brendan Fraser as the voice ofRobotman in Doom Patrol spin-off. Also cast is Elastigirl , Beastboy, Raven, StarFire, Nightwing and Hawk + Dove. 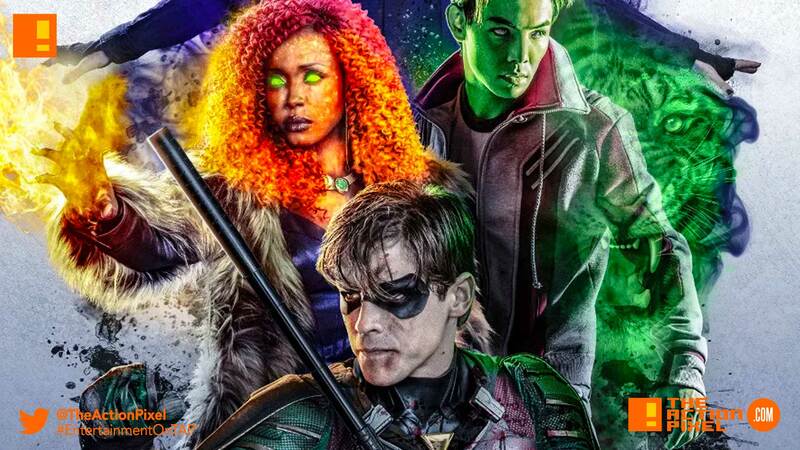 Titans live-action series will debut on DC’s new digital network alongside Young Justice Season 3. “Deadpool 2” is cutting all the naughty bits off for a PG-13 re-release.